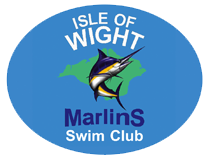 Isle of Wight Marlins is a small friendly swim club for anyone over 18 years of age who want to swim for fitness, fun or competition. There is no pressure to compete but there are opportunities to join club members in both age group competitions and in open water events. Date for your diary for the 67th Sandown to Shanklin Sea Swim. Saturday 3rd August 2019. 12 noon.